Marwan sustained serious injury to his left leg earlier last year when he was living in Mosul. His father has died and so Marwan has no access to finance to fund anything in his life. Major surgery that saved his leg was organised by our friend, Darya Mustafa, in a private hospital in Erbil, paid for by donations that covered the USD5,000 cost for the surgery, physiotherapy, medication and X-rays. However, the condition of the leg continues to worsen, so his leg either needs to be amputated or undergo more surgery for internal fractures and cleaning. Total cost for the operation to save his leg, medication and checkups and his stay in a private hospital will be USD2,600. Marwan needs a second operation on his leg. Marwan continues to live in the Hassan Sham U2 camp since it opened last May. 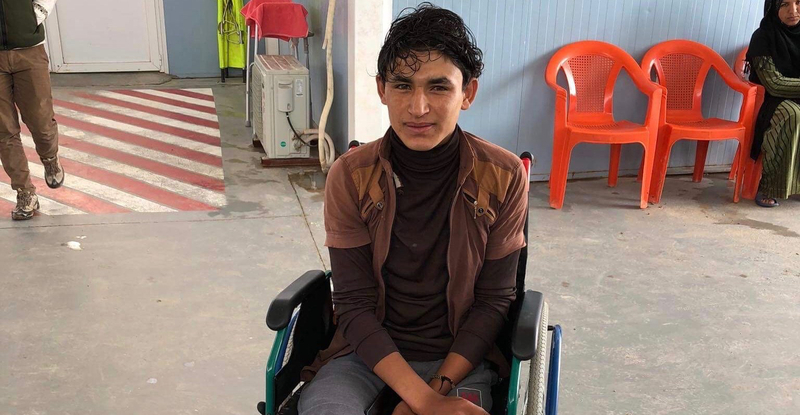 Currently, Marwan is treated and cared for on a daily basis by the caring staff at the Adventisthelp/ADRA emergency field hospital in the camp. The operation is required urgently to ensure that Marwan does not have his leg amputated. Could you please help to financially support Marwan to have this operation and therefore ensure his future is a lot more positive.